Now that the party season is here we would like to recommend this gorgeous floral sheer skirt by Fee G as your first choice. 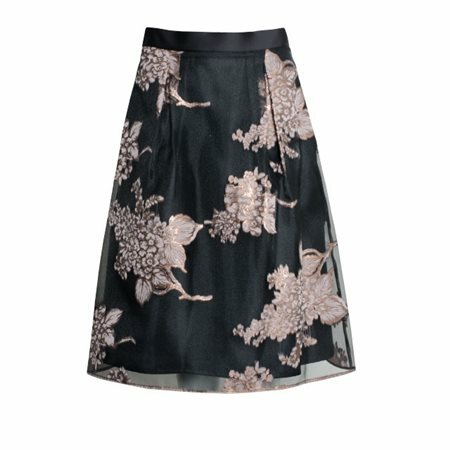 The skirt has been beautifully created using a dusty pink and copper floral print on a truffle coloured sheer fabric. The skirt has an elasticated waist that will flatter your silhouette and is layered for an elegant finish. Pair it with our Fee G dusty rose batwing blouse for a sophisticated look.